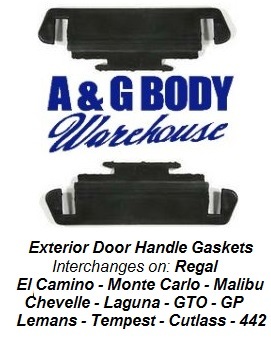 This is a new replacement exterior door handle gasket used on various Abody and G body platform cars. These cover the metal mounting plate on the exterior door handle. Install takes under one minute and is a great addition when installing new door handles. Use the drop down menu to select one side only or as a pair.